Niger annually celebrates Independence Day on August 3. 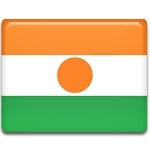 This public holiday marks the day, when Niger gained independence from France in 1960. At the beginning of the 20th century Niger became a French colony. French colonialism was met with great resistance by several Nigerian ethnic groups, that were organizing numerous revolts. One of the worst massacres in French colonial history also took place in Niger, which was the massacre of all inhabitants of the village of Birni-N'Konni. On December 4, 1958 Niger became an autonomous state withing the French Community. On 18 December, 1958 the Republic of Niger was officially created, Diori Hamani became the head of the state. In 1960 Niger gained independence from France. This event took place on August 3. Diori Hamani was elected as the first President of independent Niger. Hamani's presidency lasted for 14 years, till in 1974 a devastating drought and accusations of corruption resulted in a coup d'état, that overthrew his regime. Independence Day is celebrated with festivals, political leaders deliver solemn speeches. This is a public holiday, people get a day off.